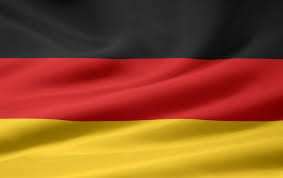 Germany’s plans to implement selective licensing of online gaming operators continue undergoing a painful battering following Thursday’s ruling by European Court of Justice (EUCJ) Advocate General Maciej Szpunar in an important online sports-betting case. In Szpunar’s ruling, German officials were told that the country’s attempted prosecution of a Turkish national operating a “sports bar” in Germany, which allowed online wagering on various sporting events, ran contrary to existing EU-wide bans on unfair restrictions of trade between EU member countries. The specific case involved Sebat Ince, a Turkish woman living in Bavaria, whose bar allowed patrons to wager via an unidentified service, incorporated in Austria and operating out of Malta. German authorities attempted to prosecute Ince for taking bets without a license, but a Bavarian state court intervened and petitioned the EUCJ to examine the case. 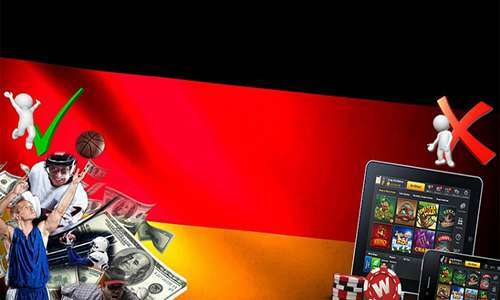 Thursday’s ruling coincided with another body blow given to Germany’s current regulatory and licensing scheme for online gambling. Last week, a Hesse court of appeals denied the federal German government’s appeal of an earlier decision that declared the federal government’s licensing plans, enacted in 2012, both unfair and unconstitutional. The Hesse decision alone spelled doom for Germany’s current online-gambling governance, and the opinion by the EUCJ’s Szpunar in the Ince matter is a healthy dose of salt being rubbed in an open wound. Szpunar’s opinion, in fact, cites the very same problems with Germany’s licensing plans that caused Hesse and other German state-level governments to protest the federal framework. As noted in the recent appellate decision in that matter, Germany’s plans to issue only 20 licenses was both arbitrary and secretive, denying dozens of worthy EU-based gaming firms German licenses. Germany’s refusal in 2012 to follow the roadmap of other EU countries in similar licensing situations has thus come back to bite the country, with at least a temporary loss of licensing revenue the inevitable result. However, the Amtsgericht Sonthofen (the local court in Sonthofen, at the very southern tip of Germany in the Bavarian Alps), stayed the proceedings in 2013 while petitioning the EUCJ to review the matter, due to the ongoing claims that at the time were emerging concerning the possible unconstitutionality of the German licensing scheme. In a rather long-winded analysis of the case’s key points, EUCJ Advocate General Szpunar thoroughly vetted the key problem at the core of the dispute, in whether German authorities could prosecute based on the “unlicensed” nature of EU-based sites who might not have gotten a fair shake in the German licensing process. As one would expect, the EUCJ sided with those companies, other EU countries, and in this case Ince, the intermediary who served as a bookie of sorts via the online hookup in her sports bar. Wrote Szpunar, “Article 56 TFEU precludes national criminal prosecution authorities” from conducting such a prosecution when the basis for the prosecution itself runs counter to EU member treaties. And with that, Ms. Ince appears likely to prevail in her case.